From the moment of arrival at a W Hotel, guests are invited into surprising, sensory environments where amplified entertainment, vibrant lounges, modern guest rooms and innovative cocktails and cuisine create more than just a hotel experience, but a luxury lifestyle destination. Each hotel and resort is uniquely inspired by its destination, mixing cutting-edge design with local influences and creating a place to play or work by day or to mix and mingle in high-energy spaces by night. So, while every hotel is unmistakably a W hotel, each has its own personality that is brought to life by our collaborators who are always on the cusp of what’s new and next in design, music and fashion. 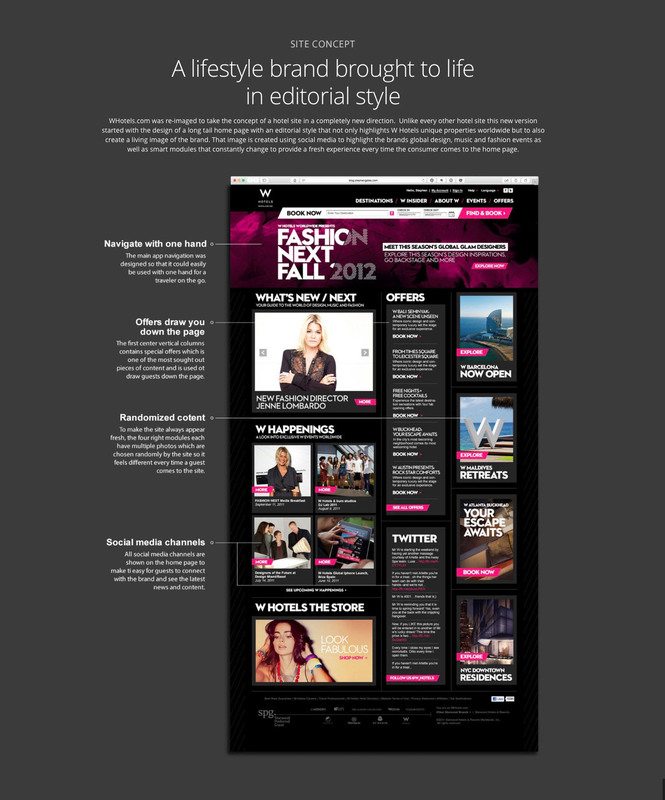 Designing a new site for W Hotels needed to reflect all aspects of this lifestyle brand and be flexible enough to do it through a large number of different content sources. The site was designed to work in 9 different languages and with all global social media sites so Facebook, Instagram and Twitter are replaced with Weibo in China. 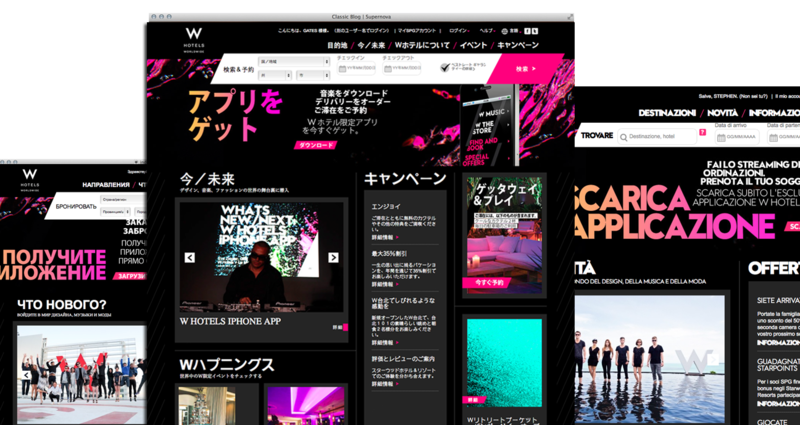 I also spent a year designing a mobile web version of the W Hotels site and all 9 of Starwood brand sites. This was done because the desktop site was optimized to work on tablets so the site is served to desktop and tablets while the mobile web version is given to all mobile phones.